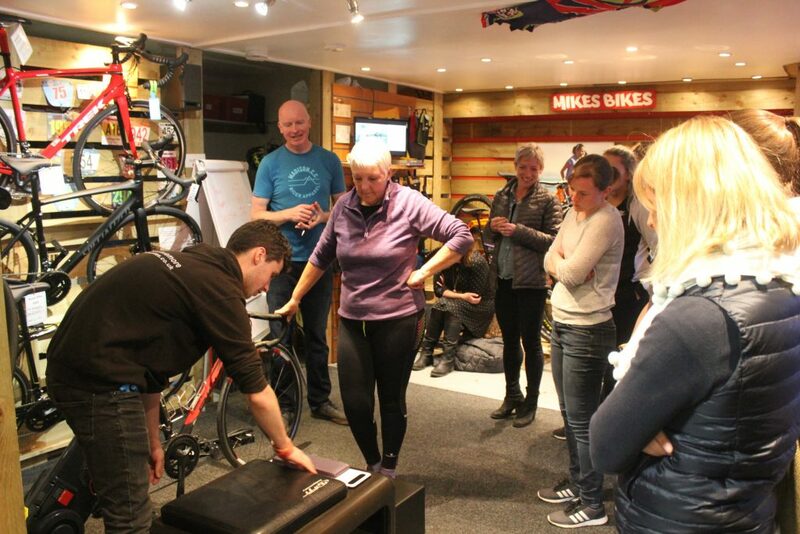 On Wednesday the 25th of April we held our ‘Tempted by Triathlon’ evening with the team from Alba Physiotherapy. A fantastic mix of newbies and seasoned triathletes popped along to see what was going on and share experiences, we even had some IronWOMEN amongst us! Brid Walsh the owner of Alba Physiotherapy has an honours in Sports and Exercise Science and Human Physiotherapy and together with her personal swimming experience and cycle racing experience she has a wide knowledge of all things training, injury prevention and injury spotting. Brid currently looks after two Downhill World Cup Mountain Bikers, a sport that is very rough on your body, and is also a fully qualified Pilates instructor. 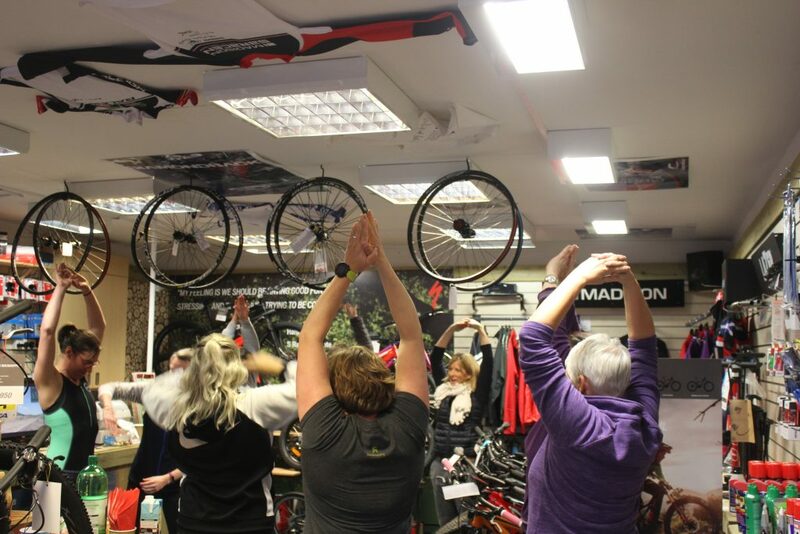 Brid ran through body assessments with all the attendees and how to spot injuries with fun excersizes relating to Cycling, Running and Swimming. Gemma Munro said that she learned from Brid that we need to focus on imbalances when doing strength training to get the best out of movement when running/cycling and Carolyn Stead said that one of the things she learned from Brid was the difference between dynamic and static stretching and what both of them are for. 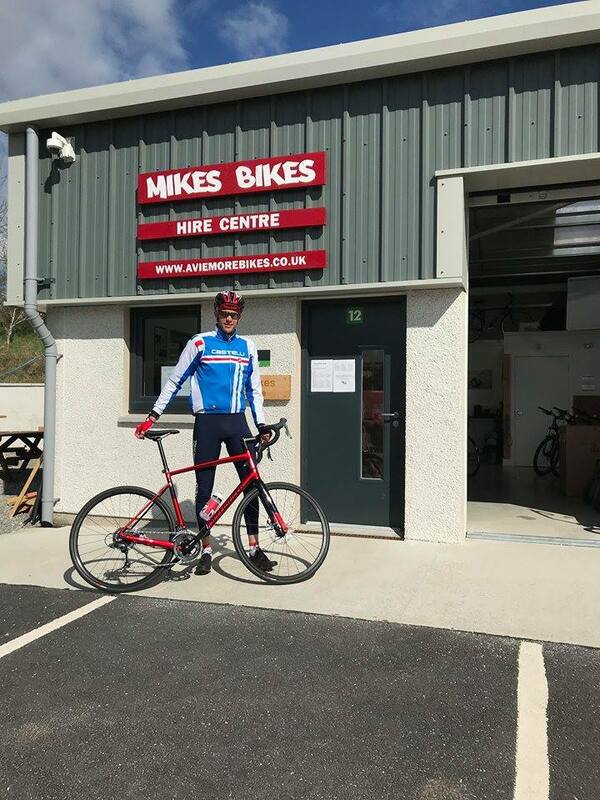 Mike and Bruce of Mikes Bikes are both highly experienced in bike fitting, and have sourced, set up and fitted bikes for a range of athletes. These include Olympic Gold Medalist, Katie Archibald, Mikes claim to fame is that he helped her to source and build up her first ‘proper’ road bike. 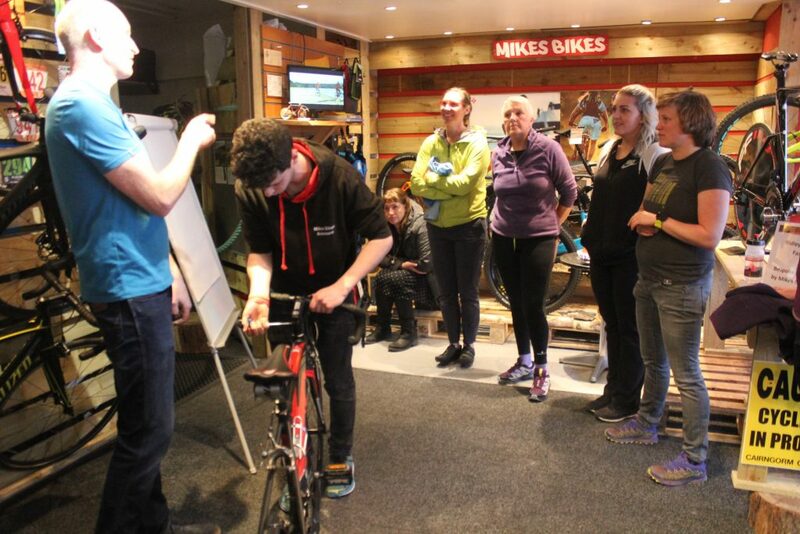 Mike and Bruce have built numerous triathlon and time trial bikes and along with their experience in swimming, running and of course cycling, they had a range of hints and tips to share. 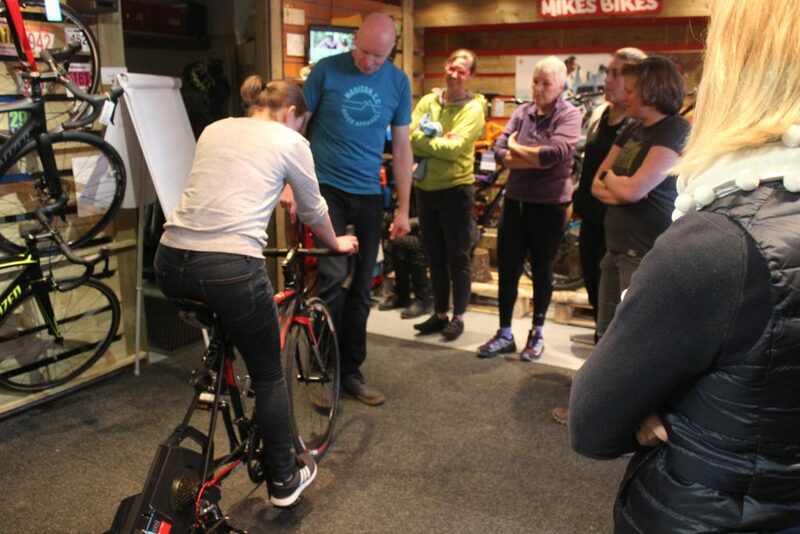 Mike ran an interactive and fun session highlighting the differences between a ‘comfortable’ bike set up and an ‘uncomfortable’ bike set up, most of the attendees were gutted to hear that in order to go fast, the bike needs to be slammed and uncomfortable. This was clarified after a look at the Ridley Dean Fast TT bike that we had on display for the evening. Look how low those bars are! 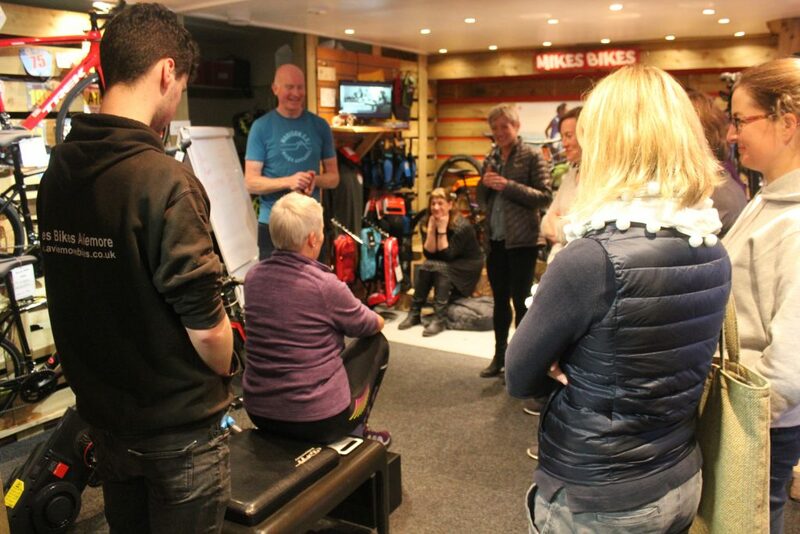 This then led on to Bruce explaining how the set up of a bike and your goals on can alter what type of saddle you need, and just because a saddle looks uncomfortable doesn’t mean it is, sometimes a big fat gel saddle can actually be the wrong thing. Did you know that here at Mikes Bikes we also measure saddles exactly to fit you? Well why not pop down and get measured, as Bruce explained last night it’s not about how fat your bottom is, it’s the width of your sit bones, you would be surprised! 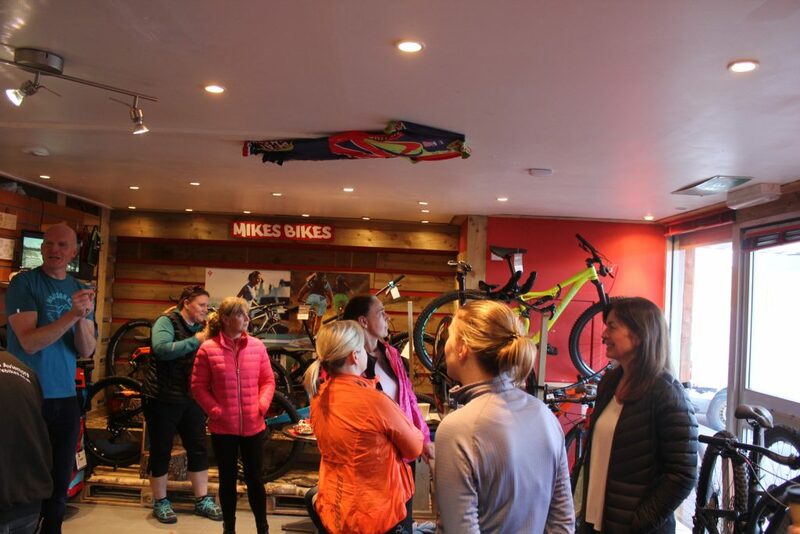 Remember to LIKE us and share your event photos and stories at Mikes Bikes Aviemore // Alba Physiotherapy.